In The Oslo Diaries, directors Mor Loushy and Daniel Sivan (Censored Voices, Sundance 2015) bring us a riveting account of 1100 days of secret talks as told by the people who were there at the table. The participants’ detailed and often emotional entries recount the political intrigue, fiery rhetoric, unlikely friendships, and overwhelming desire for peace that were the heart of the negotiations. Featuring never-before-seen footage and exclusive interviews with key players - including the last on-camera conversation with former Israeli president Shimon Peres - the film recounts a geopolitical story, with a narrative voice that is personal and philosophical. 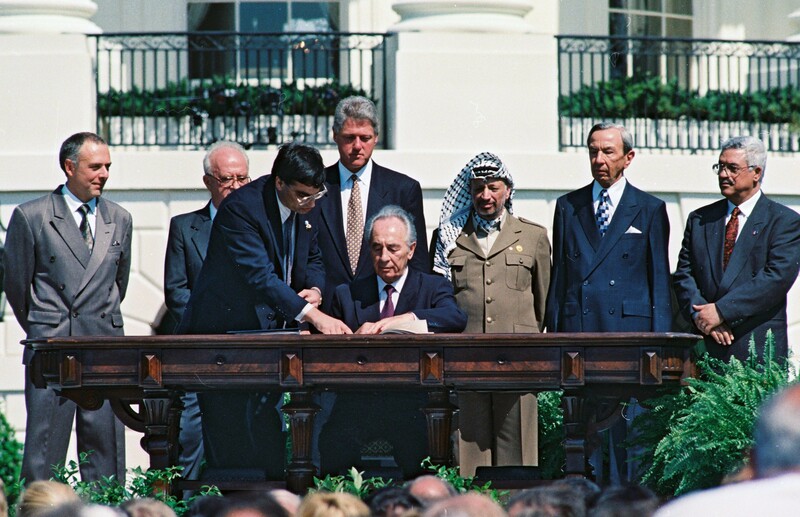 Although politics ultimately doomed The Oslo Accords, the story’s end for the people of Israel and Palestine remains unwritten. There are documentaries that are pure, dazzling cinema with all the scope, poetry and virtuosity that place them upon the pedestal of art. When such films are also infused with journalistic principles that don't get in the way of great filmmaking and have vital, coercive and downright imperative subject matter, then what you get is something like Mor Loushy and Daniel Sivan's The Oslo Diaries. Survivors of the Mideast peace talks during the 1990s share their memories and reflections in this comprehensive Israeli documentary. The main virtue of the film lies in the thoughtful interviews given by the Israeli and Palestinian negotiators. This documentary is a fine walk into the past that just happens to fully absorb the present and the nearest future. You Cannot be Objective When You’re Making a Film about the Peace Process between Israel and Palestine: intricately woven doc, which refreshingly serves as a much-needed reminder that nuts-and-bolts diplomacy has never been easy or in fashion. They reveal the full spectrum of emotions for both parties, ranging from distrust and anger to skepticism and resignation and finally to friendliness and genuine motivation to reach an agreement. The Oslo Diaries continually stuns with memories and how warm the discussions became between representatives of nations so often depicted as mortal enemies. 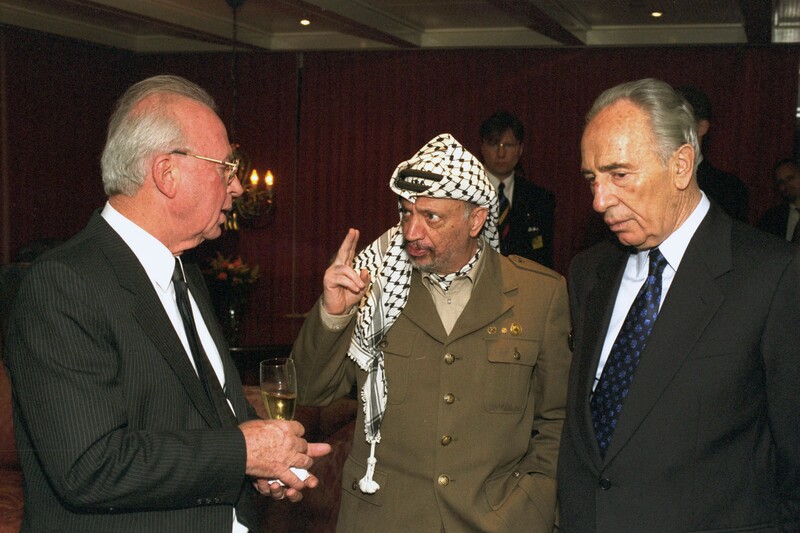 Brilliant film about the 1993 Oslo Accords shows how close we came to peace in the Middle East. Neverending Conflict: The Oslo Diaries will probably leave you frustrated, but maybe it will give you hope that such a process can begin again. It is a film to be watched and discussed, now and until we achieve real peace. Medalia Productions and Docs for Education believe in the importance of the film for the General Knowledge of all students & Professors and specially those interested in Israel, Palestine, Middle East, Politics, Peace, Reconciliation, History studies should be able to get the film in their university/college library. We are sure that The Oslo Diaries is a starter for academic debates and discussions. $300 DVD for library & PPR (Public Performance Rights) when no admission fee is charged. Shipping and handling fee is $7. Add $100 for 5 years license for streaming rights from institution's own internal server. 500$ for 5 years Streaming - Docs for Education server - Your digital director will send us the University IP and the film will be open on your Campus.